This post is sponsored by Lunchbox. All views expressed are my own. This is my favorite time of year! It’s also the most exhausting time of year for me. With all the Christmas programs, holiday parties and get-togethers, decorating, running errands, shopping, wrapping… whew, I’m tired just talking about it. In all my rushing around, I need easy, delicious meals to make for my family. 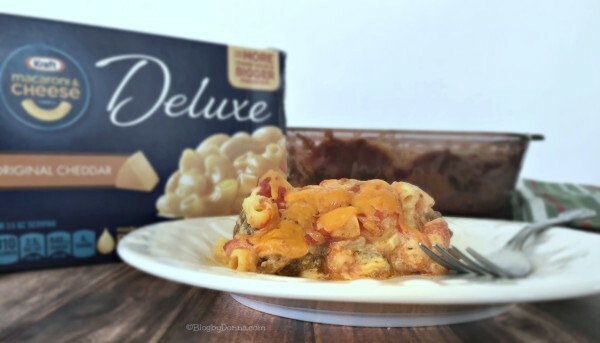 One of our favorites is taco bake. 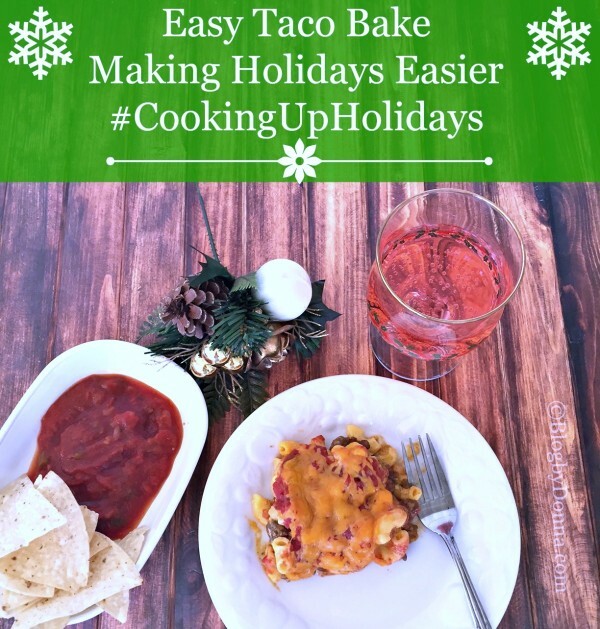 I love the Kraft Holiday Recipes Hub on walmart.com because they have a wonderful selection of recipes like taco bake for busy moms like me, plus a plethora of recipes for entertaining for the holidays…. from appetizers to desserts. You can make every day delicious with Kraft. 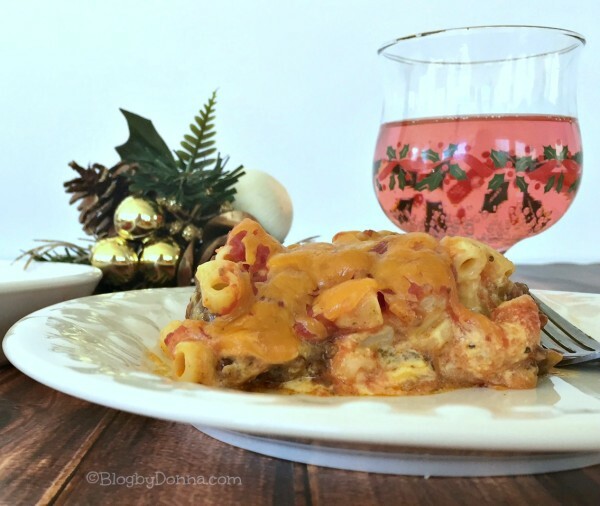 Since one of my husband’s favorite foods is tacos and my son’s is mac & cheese, the taco bake makes for the perfect meal to make for my family. It’s easy, contains few ingredients that are easy to find, and it’s hearty and delicious. Casseroles are the best during the busy holiday season, too. STIR sour cream into prepared Dinner; spoon half the Dinner mixture into 8-inch square baking dish sprayed with cooking spray. Top with layers of meat mixture, 1 cup shredded cheese and remaining Dinner mixture; cover. BAKE 15 min. ; top with salsa and remaining shredded cheese. Bake, uncovered, 5 min. or until cheese is melted. I told you it was easy! We loved every cheesy delicious bite… the perfect marriage of tacos and mac & cheese. Even my picky son loved it. I think you’re family would love this delicious taco bake, too. I will be making some of the desserts tomorrow to take to my mother-in-law’s for Christmas Eve. If you are more into sweets you should check out the Kraft Holiday Recipes Hub on walmart.com for some ‘to die for’ dessert recipes and money saving coupons. That sounds awesome. We are major fans of Mexican food in our house, so this would be a huge hit. That taco bake looks so delicious! This is exactly the type of thing that my family devours. Thank you! Sounds yummy and easy to make! Great for the whole family! This looks delicious. I love finding easy recipes like this to make for those busy days around the holidays. I love having taco filling over pita chips or in lettuce wraps. I have not tried having it in a bake. Fast meals that are also hearty and comforting are key during the hectic holiday rush! This taco bake looks spot on and totally delicious too! Oh wow, this is a great combo! I’d love to try this out the next time I pick up some Mac n Cheese. Oh my gosh. This looks amazing. I love Mexican food so this would be welcomed at my house any time. This sounds delicious. My whole family would enjoy this meal. The taco bake looks delicious. It is always great to have recipe ideas that are simple and delicious this time of year. We’re mixing it up & going for a fiesta on Christmas dinner. I need to add this taco bake to the menu. Yum! I love tacos/Mexican food is my favorite. 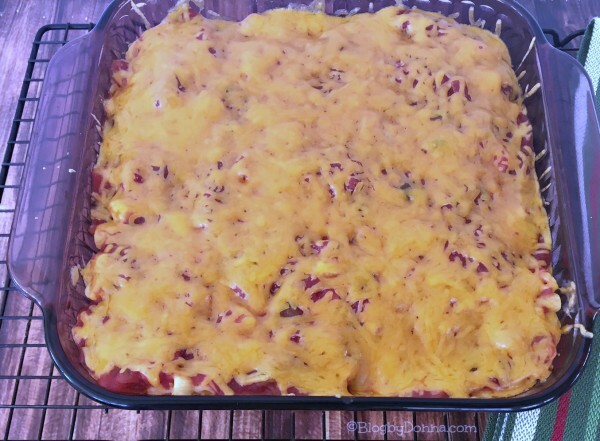 I love this taco bake recipe I would love to recreate this! I love a good taco bake recipe! This looks super yummy! This looks and sounds yummy! I love simple and quick recipes. Thanks for sharing! Love this. We really like tacos and mexican foods at our dinner table. This looks so good and I’ll bet my husband would go nuts for it. Thank you! My family could live on tacos! This bake is a great way to make a one dish meal! This Taco bake looks so delicious and easy to make. I will have to try this recipe on the holidays. Thanks for the cool recipe! What an easy dinner idea! I’ll have to try this soon! That sure looks good. I have never tried a recipe like this before, definitely interesting and with the looks of it, it’s worth a try! Thanks for sharing the recipe! My family loves anything taco related, so this would be perfect for them. I would love to make this when my daughter comes for the holidays. A taco bake is a great idea. This would be a big hit with my boys! I have been thinking I need some more relaxed recipes over the holidays. This sounds fantastic! This looks so simple to make. Will have to try this out on the weekend. Will have to try this sounds delicious! The taco bake looks absolutely delicious & a recipe with ground beef is something which my husband loves anytime. Would be a perfect recipe to try out during this wonderful holiday season. I love making taco salad so I’ll have to try this taco bake thanks!! looks super cheesy! 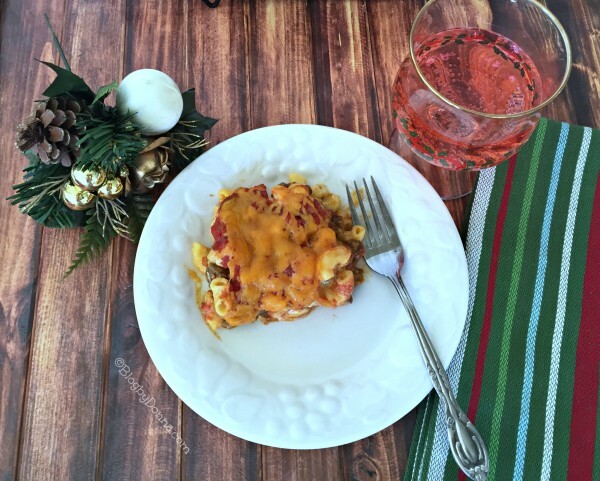 Thankyou for Sharing your Taco Bake recipe~ It sounds so Delicious to me! I love Mexican food. I also love macaroni and cheese. Yummy! I like to try new and interesting dishes. Can’t wait!! The Taco Bake sounds really yummy. I love all things mexican so this would be a favorite. It looks pretty easy to make as well, which is nice. ooo! this looks very delicious! i love anything taco! We are always looking for different recipes to prepare for our “Mexican nights”! Wow! Loving this already because it looks and sounds so delicious and is truly easy to make.This is so perfect for after Christmas to change the menu up. That Taco Bake looks great! Amazing! Thanks for sharing! The taco looks so delicious. This is my favorite. Thanks for sharing. I would love to have any spicy food during the holidays, any holiday. I would have to convince everyone else to think it is a good idea. I love this recipe.